Looking for a street legal motocross tire? The Metzeler MC360 is it. I am looking for a motocross tire that I can ride on the track, on trails and on the highway. Where I live in Mexico, you can ride your dirt bike almost anywhere, including through town. But, the beat-up, abrasive asphalt roads wear out my Dunlop MX3S tires. Is there a motocross tire that can be used on the road and on the track? Having raced in Mexico and ridden dirt bikes on the street, the MXA test crew knows what you are looking for. 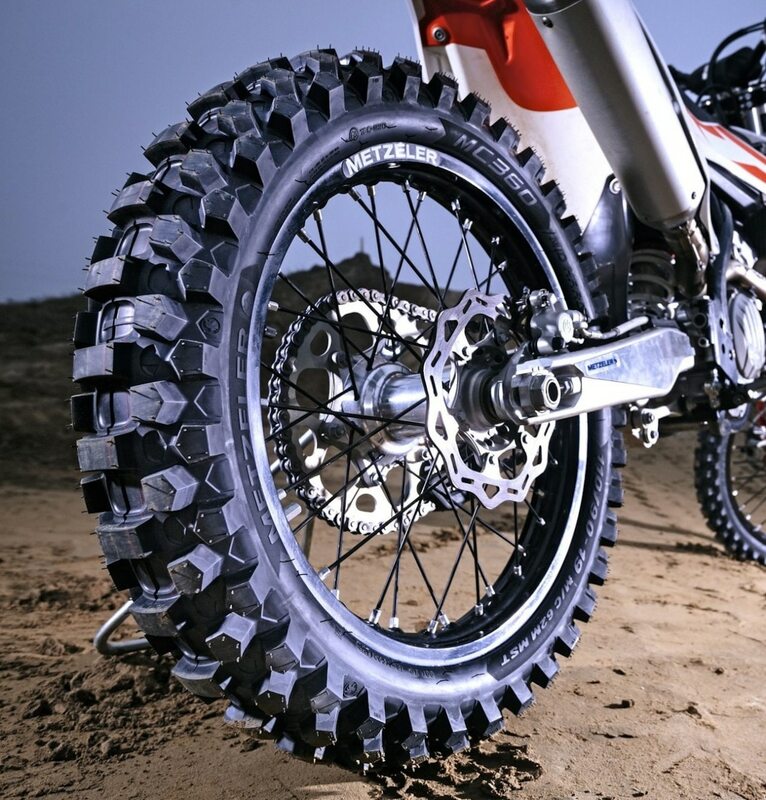 Most tire companies make a DOT-approved dirt bike tire for use at the ISDE, but we can only think of one tire that is an actual motocross tire that is rated for highway use. The Metzeler MC360 is a street-legal, DOT-approved, on-road tire that can be used for anything from street to gravel to trail to ISDT to motocross. We tested it as a motocross tire and were very happy with its performance on the track, but the farthest we went on pavement was on Glen Helen’s off-road loop where there are short sections of pavement. The MC360 comes in two models, Mid-Soft and Mid-Hard. We tested the Mid-Soft for motocross, but for your conditions, you would probably have better luck with the hard-pack-specific Mid-Hard. It retails for $129.04 (rear) and $99.95 (front). For more information, go to www.metzeler.com.